BURBANK, Calif. (April 20, 2017) – Disney aficionados, film buffs, and musical theater fans can expect a show like no other when eight-time Oscar®-winner Alan Menken performs his own music and shares entertaining anecdotes about his unrivaled career at D23 Expo 2017. 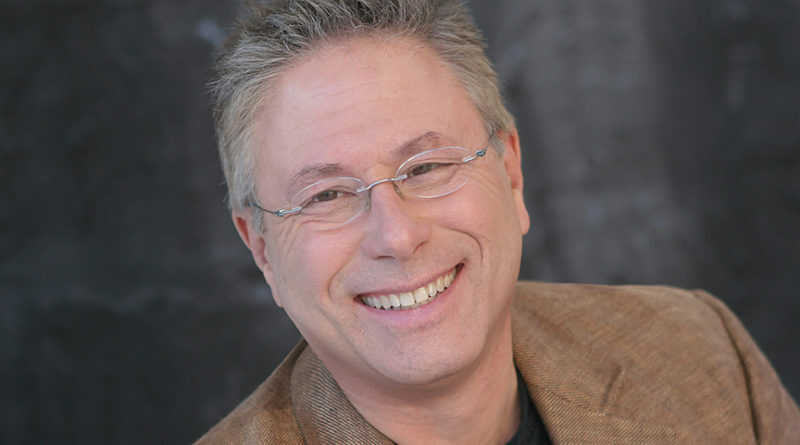 His songs and music have enchanted audiences around the world, and now they will thrill D23 Expo guests with two performances of his exciting new one-man show, A Whole New World of Alan Menken, on Sunday, July 16, 2017, at 1:30 p.m. and 5:00 p.m. in Hall D23 of the Anaheim Convention Center. Menken has won more Academy Awards® than any other living individual. He has received 11 Grammy® Awards, seven Golden Globes, a Tony Award,® and19 Academy Award® nominations. He has been credited with introducing a whole new generation to musicals through such box office hits as Beauty and the Beast, The Little Mermaid, Aladdin, Pocahontas, The Hunchback of Notre Dame, Enchanted, and Tangled, as well as the Broadway shows Little Shop of Horrors, Sister Act, Newsies, A Bronx Tale, and the ABC television series Galavant. The one-man show is written and performed by Menken and directed by Richard Kraft, the creative director of the highly acclaimed Disney’s The Little Mermaid in Concert at The Hollywood Bowl starring Sara Bareilles and Rebel Wilson, as well as the upcoming La La Land in Concert: A Live-To-Film Celebration at the Hollywood Bowl. A Whole New World of Alan Menken is produced by Laura Engel and Richard Kraft and Alison Ahart Williams and Tim Fox, whose credits include The Nightmare Before Christmas in Concert at the Hollywood Bowl, Disney’s The Little Mermaid in Concert at The Hollywood Bowl, Live from Lincoln Center: Danny Elfman’s Music from the Films of Tim Burton, which recently won two Emmy® awards for its PBS broadcast, and the upcoming La La Land in Concert: A Live-To-Film Celebration at the Hollywood Bowl. Alan Menken’s music and lyrics have been an integral part of the fabric of our lives since his first works were produced nearly 40 years ago. Song and score credits for film musicals include The Little Mermaid, Beauty and The Beast (animated and live-action versions), Newsies, Aladdin, Pocahontas, The Hunchback of Notre Dame, Hercules, Home on the Range, Enchanted, and Tangled. His stage musicals include Little Shop of Horrors, Beauty and the Beast, A Christmas Carol, The Little Mermaid, Sister Act, Leap of Faith, Newsies, Aladdin, The Hunchback of Notre Dame, and A Bronx Tale. His television credits include writing songs for the ABC series Galavant, and his chart-topping songs include “Beauty and the Beast,” “A Whole New World,” “Colors of the Wind,” and “Go the Distance.” Menken’s notable achievements include induction into the Songwriters Hall of Fame, Billboard’s No. 1 single (“A Whole New World”) and No. 1 album (Pocahontas). In 2001, he received the distinction of being named a Disney Legend. Experiences are subject to change. Additional details are available at D23expo.com. Ticketsfor D23 Expo 2017 are available for $81 for one-day adult admission and $59 for children 3–9. Membersof D23: The Official Disney Fan Club can purchase tickets for $72 for a one-day adult admission and $53 for children 3–9. Multi-day tickets are also available. For more information on tickets and D23 Expo 2017, visit D23expo.com.